Learn the Finger Family nursery rhyme in a fun way by watching this video that also features different vehicles for water, land and air. Watch daddy ride a crew ship, mommy inside an airplane, brother in a train, sister in a hot air balloon and baby on a horse. 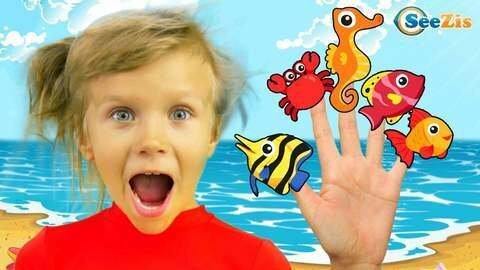 Your kids will also love naming their fingers because of the cute finger puppets that they’ll see on this video. Head over to SeeZisKids.com and get access to other free nursery rhyme videos.